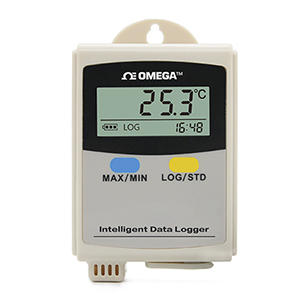 The OM-HL-SH Series of portable temperature and temperature/humidity data loggers are easy-to use, versatile and price competitive devices which can be used for a wide range of logging applications including coolers, freezers, greenhouses, museums, laboratories, shipping containers, warehouses, environmental monitoring and food storage. These data loggers are capable of sampling as fast as once per 2 seconds or as slow as every 24 hours. Both Models OM-HL-SH-T and OM-HL-SH-TH can store a total of 43,000 temperature only or temperature/humidity measurements in memory. 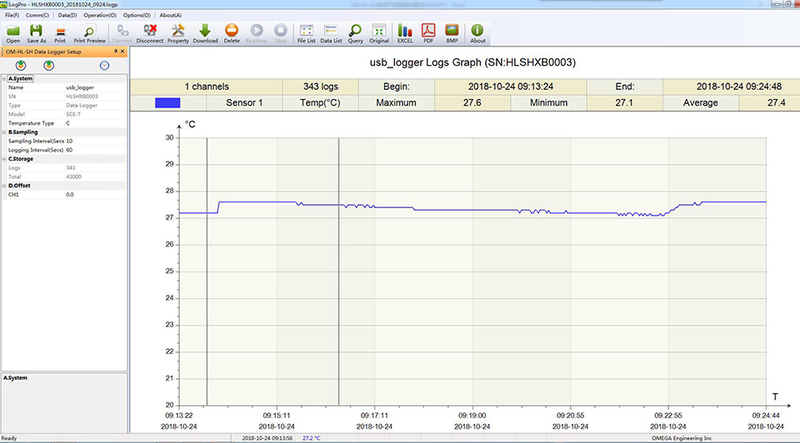 OM-HL Logpro Software is comprehensive temperature and humidity recorder data analysis software designed to log attribute settings, download logger data efficiently, graphically analyze data, and export the data to Excel/PDF/BMP, and other formats. 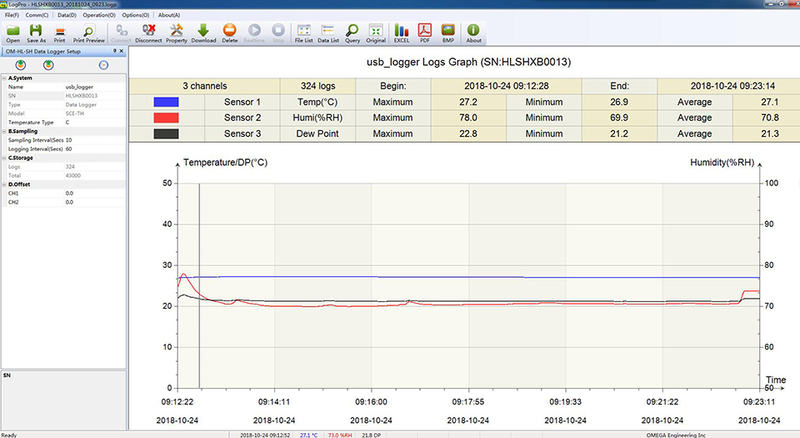 The software interface is easy to use and efficient for ultimate data analysis. Note: Comes complete with 2 AAA batteries and Mini CD including operator's manual, PC software, and software guidance.